These are vintage acrylic drops that were made in Japan. These have 2 beads, one measures 5mm and the other 3mm, that are connected with brass links. 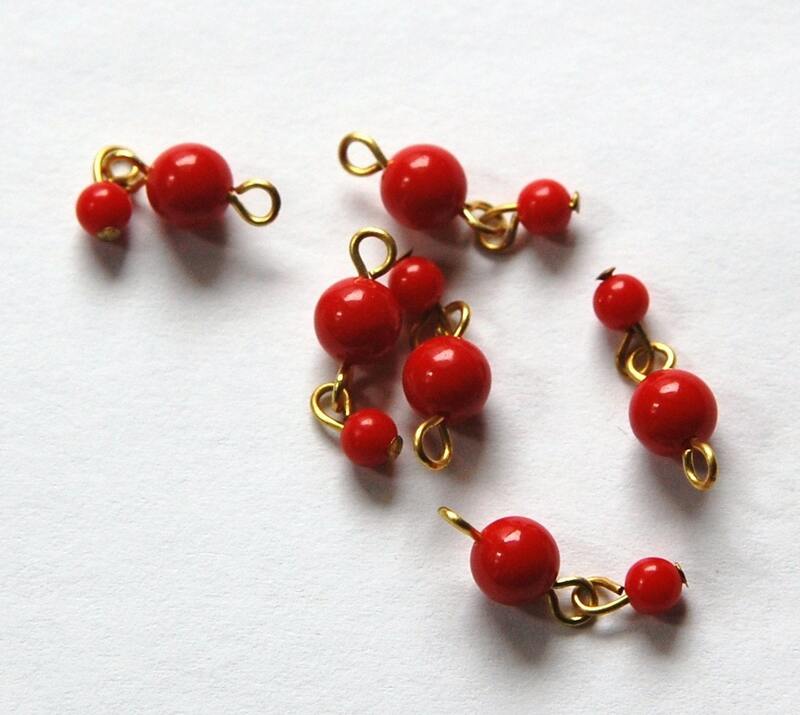 There is a loop at the top of the 5mm bead for attaching to your creations. These measure about 18mm long. You will receive 6 drops. Love these little beads. I will use for earrings. Just as described and pictured. As always - So Great! Thank you!